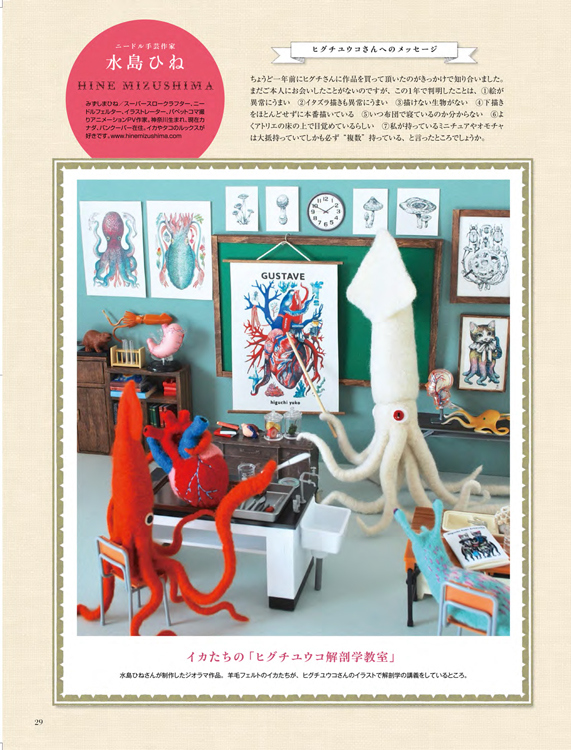 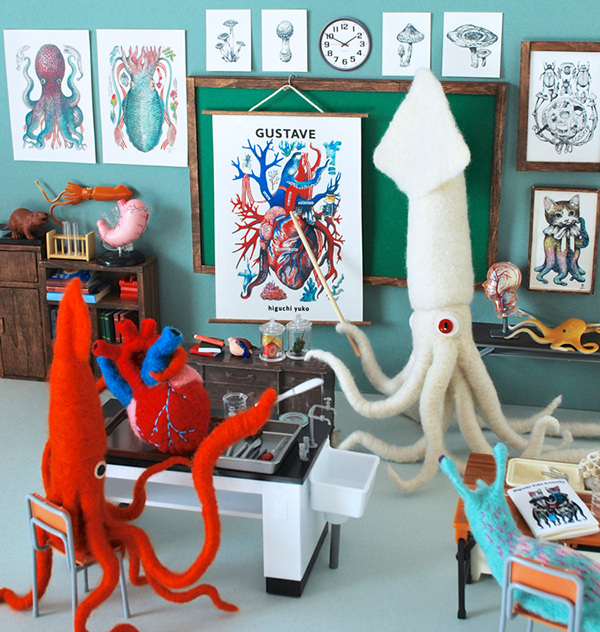 I made a diorama piece with some beautiful drawings (heart, octopus, squid, etc…) by a super talented & popular Japanese artist and my friend, Yuko Higuchi, for the newest issue of a lovely Japanese picture book & character magazine, MOE, which is Yuko's special issue. 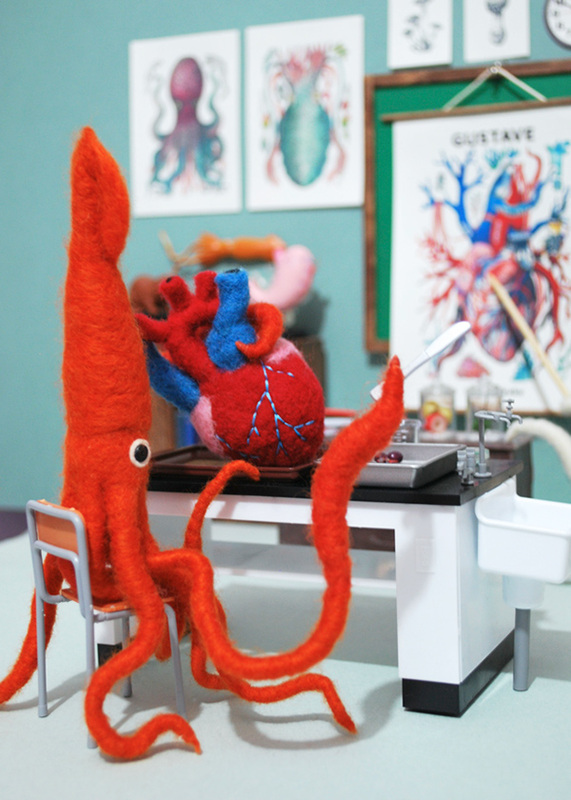 I could use any of her drawings for my diorama, so I chose her anatomical heart drawing which was my favourite, for the center piece. 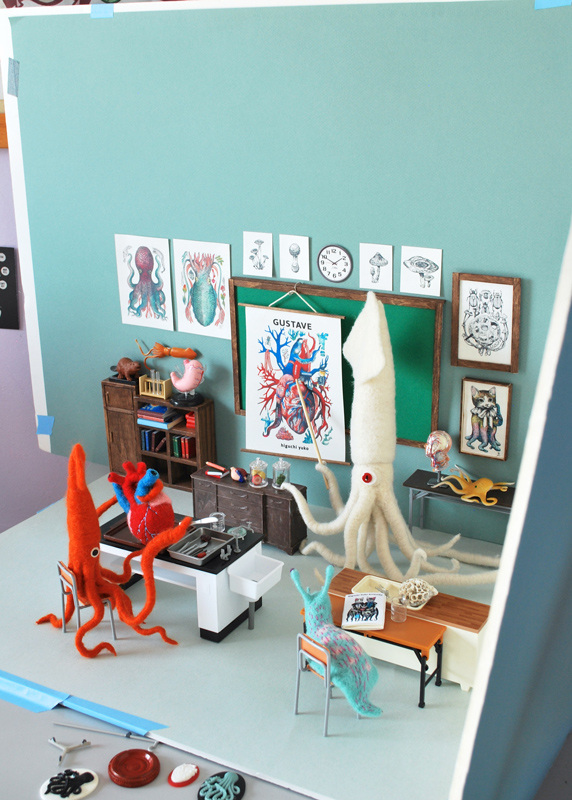 I made a little chart and some frames for Yuko's pieces.